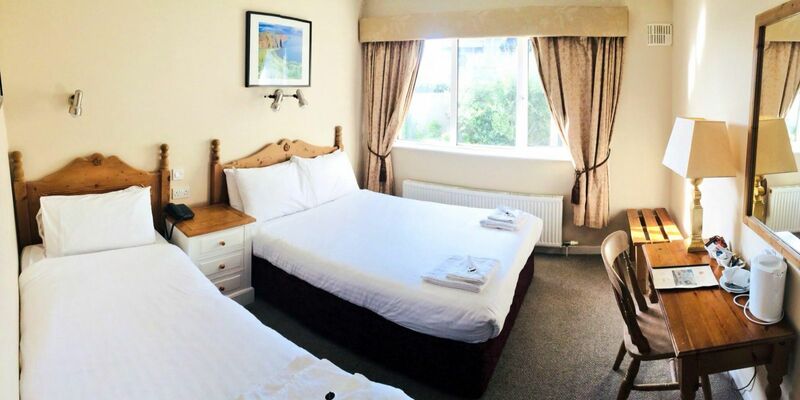 Lehinch Lodge offers guests quality accommodation in Lahinch with tastefully decorated bedrooms. Choose from our Standard Rooms or our Superior Rooms which have views of the Golf Course. Here at Lehinch Lodge our guests discover a haven of peace and quiet in a beautiful location – the perfect antidote to hectic modern living. As Lehinch Lodge is a family run guest house you can expect personnel attention and genuine concern for your every needs. Lehinch Lodge offers a 3 star self catering apartment. The perfect home away from home and is ideal for family, group or golfing getaways at one of the most popular west coast destinations Lahinch. This 2 bedroom apartment provides the perfect accommodation for a relaxing break with superb views of one of the finest golf resorts Lahinch Championship Golf Course. Located less than a 5 minute walk from the Main Street, Lahinch offers a wide variety of Bars, Restaurants, Shops & boosts a Mile Long Blue Flag Beach with scenic walks. For availability and reservations please call us directly at +35365 708 10 49. Whether it's a midweek or weekend break, leisure or business.